Kirill met with the president of the Pontifical Council for Promoting Christian Unity, Cardinal Kurt Koch, and proposed closer collaboration with the Vatican on the Middle East and traditional values. Moscow ( AsiaNews) - The Patriarch of Moscow, Kirill, yesterday confirmed the "great expectations" placed in the new Pope and a "common understanding" between the Russian Orthodox Church and the Catholic Church during his meeting with the president of the Pontifical Council for Promoting Christian Unity, Cardinal . Kurt Koch. 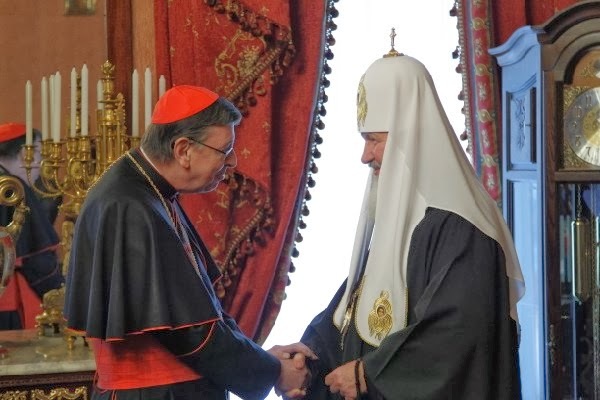 The cardinal has concluded his visit to Russia, where he arrived December 14 and where he had meetings with not only the local community but also with representatives of the Russian Foreign Ministry. "We pin great expectations on the election of Pope Francis because much of what the Pope formulates today and suggests for the church and the world and society coincides with our vision", said Kirill receiving Koch in his residence at the Danilovsky monastery. According to the Orthodox primate, the current historical moment is very important for dialogue between the two sister Churches, which have common positions on many issues: peace in the Middle East, the defense of persecuted Christians, to the preservation of traditional values ​​such as that of the family and of life. "We have more and more opportunities to meet the Catholic prelates, including members of the College of Cardinals", said the Patriarch , appreciating the ability to "communicate directly" . It is a period of lively contacts between the Patriarchate and the Vatican, whose relations are experiencing a definite "improvement". In November, three other top Vatican officials arrived in Moscow: Card. Paul Poupard, Card. Angelo Scola, and Msgr. Vincenzo Paglia. The same Koch described the current relationship between the two Churches as "wonderful." 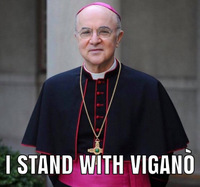 Speaking of the joint action of the Orthodox and Catholics in the protection of the concept of marriage, the cardinal noted that " the institution of the family is now in a very deep crisis " and appealed to a common struggle especially against abortion.